Is This the Year of the Monkey, The Honda Monkey? 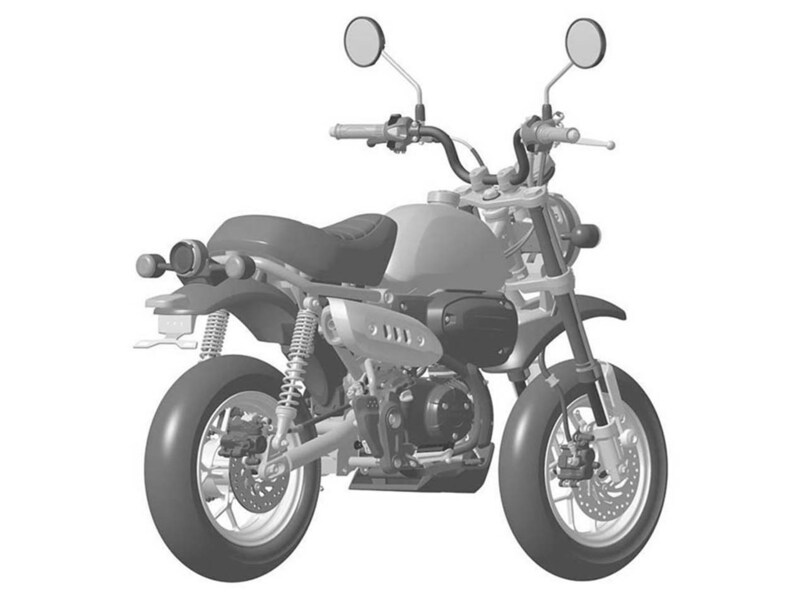 If you read as many motorcycle news sites as I do, then you surely know that Honda is almost definitely probably maybe debuting a new “monkey bike” in the near future. The source of this news is Honda’s recent application for design patents in the European and Japanese markets. Intellectual property filings are a great way of seeing what a motorcycle OEM is up to, but as our colleagues at Motorcycle.com correctly pointed out, they can also be a great source of red herrings. 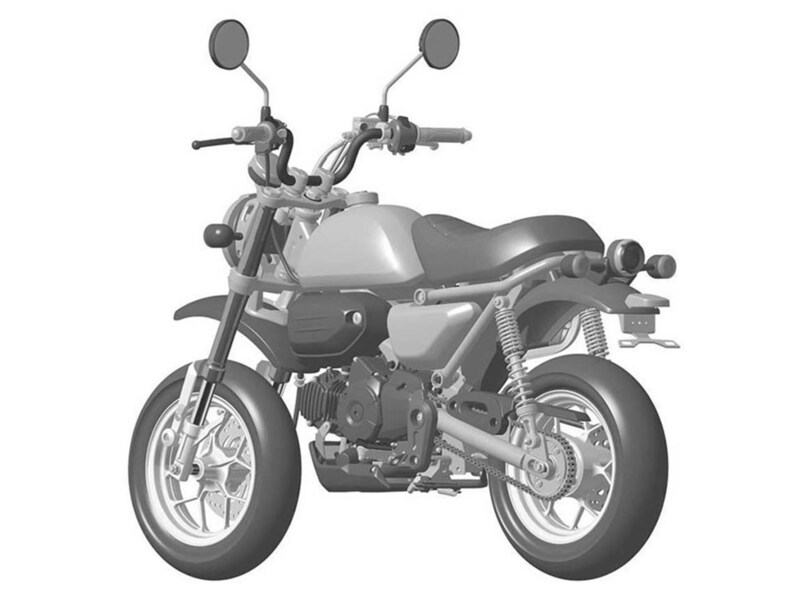 This is because motorcycle manufacturers not only patent and trademark the design they intend to put into production, but also the design they don’t intend to produce, but have still shown the public. This is just smart policy when it comes to intellectually property protection. 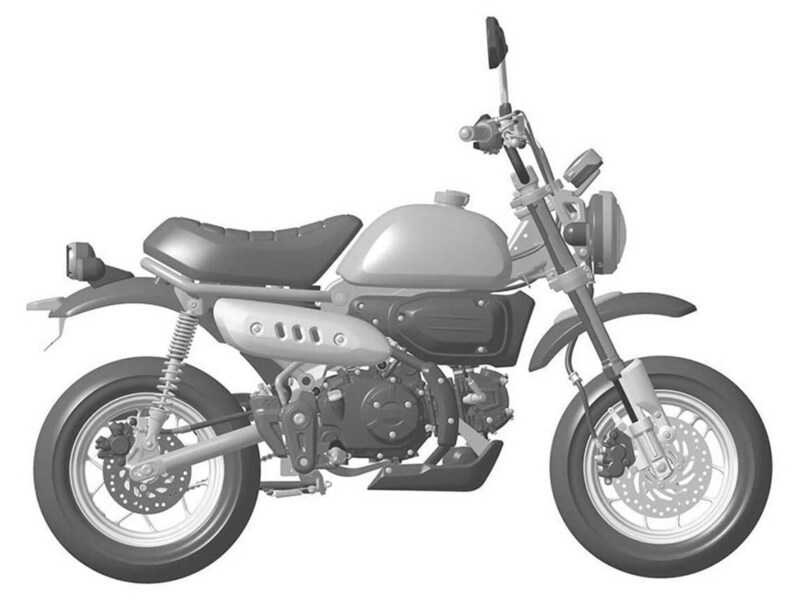 Fortunately or unfortunately, it’s easy to jump to conclusions when one sees a filing that exactly mimics a show bike or concept, as we’ve seen this week with the Grom-powered Honda Monkey. There is an irony to the fact that 2016 is the year of the monkey, and Honda has made no shortage of Grom variants available for us to drool over. The Japanese brand may be struggling to find its mojo, but it is certainly on the right track when it comes to this unassuming 125cc pocket bike. 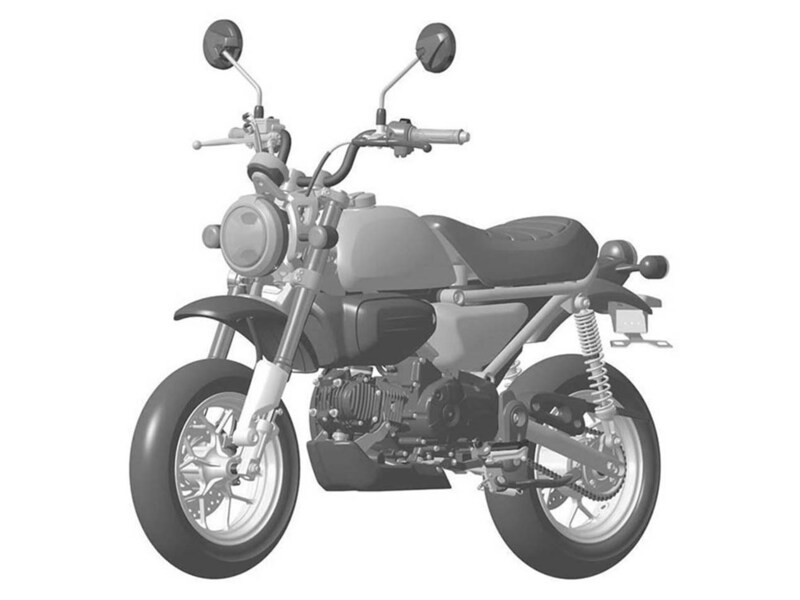 In addition to the rather fetching retro-styled Monkey shown above, Honda has also teased several scrambler concepts of the Honda Grom…you know, because why not? 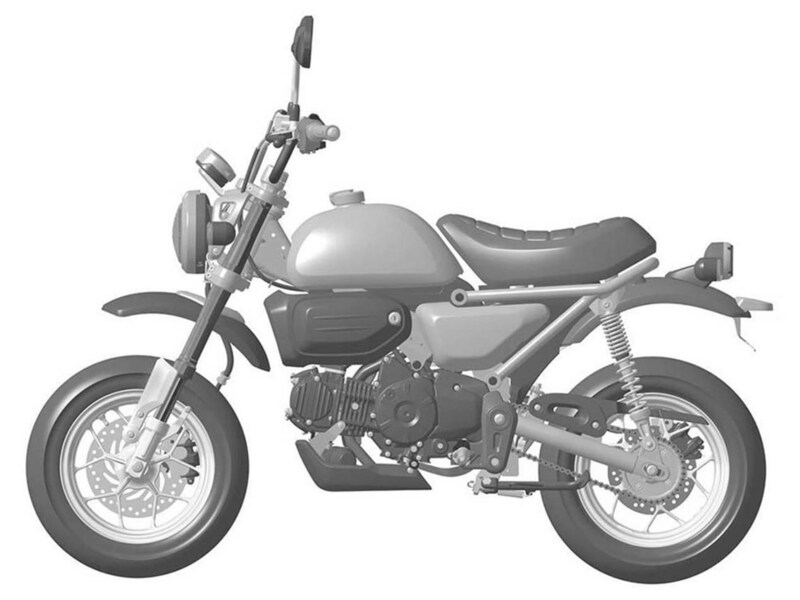 A good sniff test might help us understand whether to expect another Honda Grom variant (a bike that just got updated this year, by the way). A simple question to ask yourself though is whether Honda’s lineup has room for another 125cc pocket bike? The answer is probably not, especially when you start taking into account the added cost of production, and the razor-thin margins bikes like these live off. The Honda Grom sells well, but I think there’s good debate as to whether it sells well enough to warrant a sibling. Another thing to consider though is Honda’s micro-site for its 2017 model releases, which features six bikes. Three of these machines we know for certain: the Honda Africa Twin, the Honda CRF450R, and the Honda X-ADV. We also have an extremely good insight that a fourth machine will be the 2017 Honda CBR1000RR, but what of the two remaining slots? One is being teased by a man in a business suit, the other by a man in more vintage attire. You could make an argument that our hipster protagonist is about to swing a leg over a Honda Monkey, with the tagline “Express Yourself” to match with it. It works, but I’m not sure it’s the best fit. I’d rather see one of the Honda CBR650 concepts we saw last year fill that spot, before this Hip Grom. No matter the outcome, the result will surely be interesting: Honda doubling-down on the pocket bike craze, or another model that we have little insight on. Thankfully, we’ll know soon enough at the EICMA show in Milan, November 18th. Leave your conjecture in the comments section, it’s like just as informed as the professionals’.